Learning how to write a college paper quickly and easily seems to be an elusive art for most college students. But it doesn’t have to be. In this article you will learn the first steps to take to finally understanding how to write that essay . Let’s start with WHY it is so important to learn how to write a college paper. Well, submitting dozens, if not a hundred or more papers throughout your college career is inescapable if you want that degree. Unfortunately, many students resort to hiring a ghost writer – sometimes for a hefty fee. But that is the negative side. Here’s the positive side of how to write a college paper. If you DO learn how to write a college paper yourself, not only will you be empowered but you will open many more doors while attending your college without even knowing it. When I was in college, whenever I needed a letter of recommendation from one of my professors, I always approached a professor for whom I had written a good paper previously. A person who knows your writing knows your level of intellect and will happily give you a recommendation. And this is so important in today’s world of employment market volatility. Think about it. Too many students out there will be hiring ghost writers because they don’t know how to write a college paper. But YOU will stand out from the crowd simply by expressing your ideas clearly and with conviction. Thus, your writing skill as well and knowing how to write a college paper can give you a chance not only to excel academically, but to succeed professionally as well, because you will go to the same professors for letters of recommendation when applying for your dream job. So, how do you begin to learn how to write a college paper? Step 1 – Choose your topic and take a stand. If you learn how to complete these steps, then you may confidently say that you know how to write a college paper. Let’s look at these steps to learning how to write a college paper in detail. Step 1. Choose a topic and take a stand. Choosing a topic when you learn how to write a college paper seems pretty clear but what is taking a stand? The topic is really WHAT you’re writing about. For example, if you are writing about ‘College Life,’ then college life is your topic. However, you will also need to take a stand and decide what exactly you are trying to say about college life. In learning how to write a college paper, this is the vital step. Now, I know that this sounds pretty basic but, believe it or not, most college writers never really complete this step. In other words, they kind of try to get away without deciding on the main point. But being able to create a crystal clear main point is critical in learning how to write a college paper. So, what stand can you take about ‘College Life?’ You could say that it Rocks. Or that it Stinks. But you must decide. Now, a word of warning here. I know that it sounds limiting to have such a narrow view of something – that it is either totally great or totally bad. But when you are just beginning to learn how to write a college paper you should always put a definite plus or a minus sign on your subject. It’s just much easier to do it this way as you learn how to write a college paper. Step 2. Write your thesis statement. Once you take a stand, this step becomes really easy. This would be a perfect thesis statement, if excessively simplified. But when you are just starting to learn how to write a college paper, stick to simplicity. Later, you’ll be able to write far more complex and interesting papers. Step 3. Write the body of the essay. If you’ve completed steps 1 and 2 well, then this step should be infinitely easier than ever in your past experience. And this is because now that you have a complete thesis statement, you already have the outline of your entire paper. This is one of my secrets in teaching how to write a college paper. In the body of the essay, you will provide evidence – point by point – that college life rocks because of college classes, professors, and extracurricular activities – in that order. In the future articles we’ll take a closer look at each step and examine specific examples of how this process works. For now, this short overview will get you started on learning how to write a college paper. 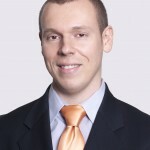 Philip Saparov is an e-learning professional at TutorPhil.com and StopEssayPain.com He teaches college students all over the world how to achieve academic success and enjoy the process. His expertise ranges from writing research papers and reading difficult texts to achieving higher levels of confidence in the academic setting. At his site, StopEssayPain.com you can find out more about how to write a college paper.